Artists need to know their colours. If you would like to be an artist you need to know all about how colours are made by mixing colours together. You also need to know how colours work together and how you can use colours to grab the viewers attention or even help tell your story. Colours are often displayed on a COLOUR WHEEL to show how they are related. This colour wheel shows COMPLEMENTARY COLOURS. Complementary colours are pairs of colours that are opposite one another on the colour wheel. Another name for complimentary colours is OPPOSITE COLOURS. There are many, many pairs of complementary colours but this colour wheel shows the most commonly known pairs. Artists often use complementary colours to grab the viewers attention. Our eyes love to see complementary colours together in an artwork. Vincent vanGogh was famous for his use of complementary colours. He would often team up complementary colours in his brushstrokes and his paintings to make them visually appealing. He loved to use purples and yellows or red and greens together to name but a few. In your own artworks, you can use complementary colours together to do the same. 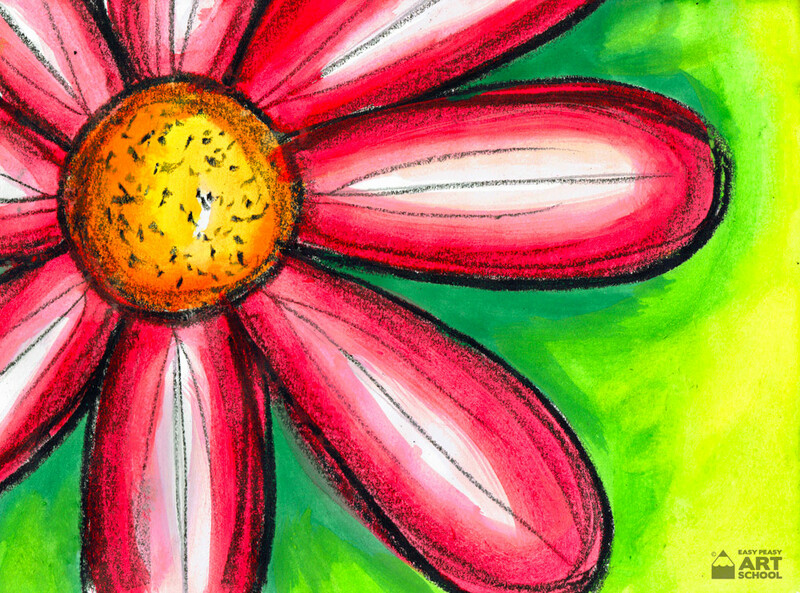 In your next artwork, try placing a set of complementary colours next to one another. Watch as your artwork leaps from the page because of how you have used your new found knowledge on complementary colours. To further your colour knowledge, don’t forget to read our other blogs on primary, secondary and tertiary colours. 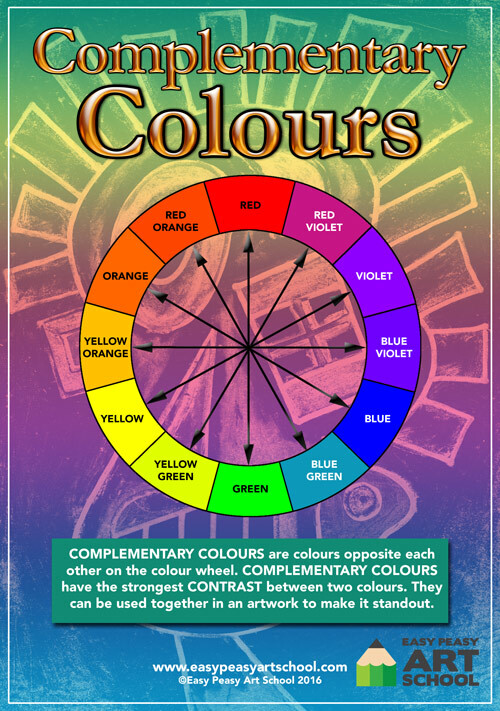 If you would like a print out of our colour wheel posters, have a look on our website under LESSONS > OTHER > COLOUR WHEELS. Here you will find printable colour wheels available in both English and U.S spelling. Try other combinations of complementary colours. For example, yellow and purple.